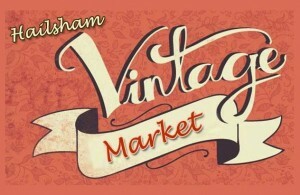 After the success of its Children’s Themed Market last weekend with an impressive array of visitors to the town, the Town Council and project partner Hailsham Forward are happy to announce that final preparations are being made for a Vintage Themed Market in Vicarage Field and Hailsham High Street on Saturday 25th July, from 9.30am to 7pm. Organisers are confident that it will be a great family event offering something for everyone, featuring stalls selling a wide range of fine food and gifts from local traders, as well as pre-war, wartime, post-war and retro items including toys, crafts, jewellery, homeware, confectionery, memorabilia and much more. There will be live entertainment throughout the day while you browse, with The Memphis Flyers band performing from 12.30pm to 2.30pm, Swingtime Sweethearts from 3.15pm to 4.30pm and the Peter Wilson Quartet (jazz music) showing from 5pm to 7pm. There will be other family activities, a hog roast and Hailsham FM will also be attending the event. Historic Hailsham Parish Church will be open to welcome visitors at various times throughout the day. “The special Vintage Themed Market hopes to provide a fantastic shopping experience for all as well as further trading opportunities for a number of niche traders and businesses from Hailsham and nearby areas. Hailsham Town Council and Hailsham Forward are currently organising a third themed market for Saturday 29th August, taking on an international theme. Further details on this event will be announced in the coming weeks.